According to the International Monetary Fund, the global economy is on track to grow a healthy 3.7 percent in 2018. That’s exactly how fast it grew in 2017. The IMF’s forecast for 2019? Again, 3.7 percent. It’s a plateau, all right, but a high plateau—call it the Altiplano of economics.The contrast between the negative daily buzz and positive underlying conditions is sharpest in the U.S., where the expansion of the world’s largest economy has actually strengthened as it’s lengthened: Annualized growth rates in the two middle quarters of 2018 were 4.2 percent and 3.5 percent. In October alone, the economy generated 250,000 jobs. That kind of growth isn’t sustainable in a rich nation with a slow-growing workforce and lackluster productivity growth. Still, if the U.S. makes it past June without a recession, the uptrend will exceed 120 months. That would surpass the 1991-2001 expansion to become the longest since at least 1857, the beginning of records maintained by the National Bureau of Economic Research. So the outlook for 2019 is better than one might expect given the minicrises breaking out left and right. Strong growth in the U.S. isn’t only good for Americans; it’s good for workers in countries that produce goods and services for sale to the U.S. 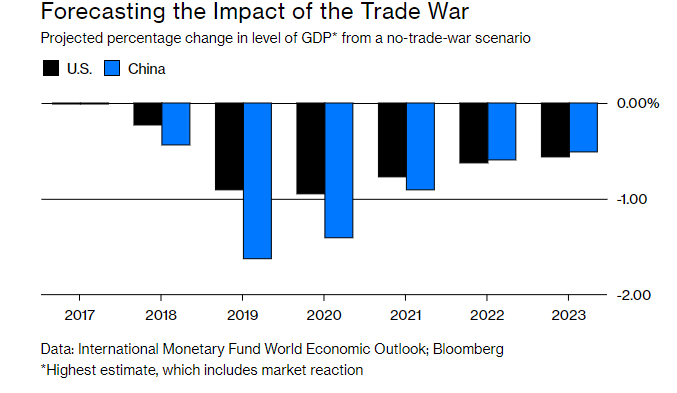 In fact, the U.S. is largely responsible for keeping global growth ticking along at an even pace despite the slowdown of many other major economies. On the other hand, the U.S. outperformance has downsides. It puts pressure on vulnerable nations such as Argentina and Turkey, which rely on an inflow of foreign capital. Global investors, who put their money wherever they think it will earn the highest return, are more likely to choose the U.S. over other countries if it’s thriving. Meanwhile, the Federal Reserve is raising short-term interest rates to keep the U.S. economy from overheating, making the nation’s yields increasingly attractive. To compete for funds, vulnerable countries with chronic trade deficits are forced to raise their own interest rates, which suppresses growth. Bloomberg Economics forecasts, for example, that Turkey’s economy will grow just 0.8 percent in 2019. They also said Europe's economy continued to grow in the first half of 2018. But the outlook is less favorable...So, how can economy thrive in Europe when half the counties absorbed by the EU empire are near bankrupt? "The future will require people who can actually use their brains": (IMF's Christine Lagarde stresses the need for education.) Does this mean that people have not used their brain so far? 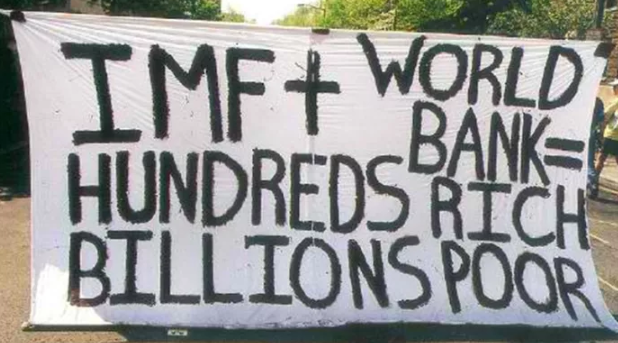 The IMF is the cause of many miseries around the world. She's speaking from experience, clearly.